Have you ever walked into a room and instantly forgotten why you were there? One simple distraction is often all it takes to make the brain become inefficient. Even a stray thought is enough to interrupt your focus. Over time, these incidents of forgetfulness can begin to accumulate and create a progressive inefficiency. This is why it is necessary to help the brain to continue to develop as we age. By engaging the brain, it is able to maintain the neuron connections it has formed over time. This helps us to keep our memory sharp because the brain is operating as efficiently as possible. If you want to know how to make your brain perform more efficiently, then here are the methods that will help you to achieve this goal. Meditation is often thought of as a practice that can help to reduce stress or increase focus. There are also some very real brain development outcomes which occur when meditation is practiced on a regular basis. In a study of individuals who had meditated for an average of 20 years, UCLA discovered that there was more grey matter volume throughout the brain compared to those who did not meditate regularly. Meditation is also known to decrease the activity that occurs within the Default Mode Network of the brain. This is the part of the brain that is responsible for “me” thoughts. With regular meditation, fewer wandering thoughts or self-focused thoughts occur, allowing new connections to form within the brain so that worry and rumination are decreased. The building processes that the brain begins through the practice of meditation happen at any age. It only takes 8 weeks of meditation to make your brain become more efficient and rebuild the grey matter. Mindfulness meditation will also promote more activity in the portions of the brain that process reactions to stress. It also encourages the parts of the brain that are responsible for calm and focus to be more active. There is a physical benefit to this brain exercise as well. Regular meditation can reduce the inflammation markers that are carried throughout a person’s circulatory system, reducing the potential risks of a serious health incident in the future. It is recommended to create a 20-minute window to obtain the brain benefits which meditation can provide. If that amount of time seems too long, then try meditating for 10 minutes instead. Or meditate for 5 minutes at a time. The benefits of meditation are cumulative. 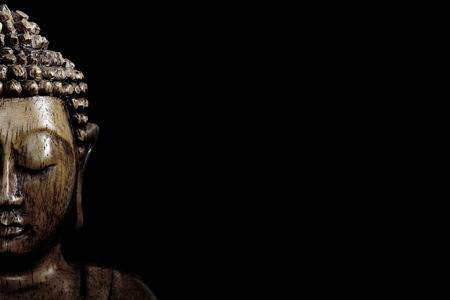 Four 5-minute meditation sessions are equal to one 20-minute session. Exercise can help the physical body feel better. If you choose running as your primary form of exercise, then you can help the brain be better. Running has been proven to help the brain grow. This is because the process of running helps to stimulate the creation of blood vessels and nerve cells within the brain. The brain naturally begins to shrink as part of the aging process. Through running, the shrinking can be countered by the new growth that is being encouraged by your efforts. It isn’t just growth that helps the brain be more efficient through running. Compared to those who do not run on a regular basis, the brain of a runner has a greater neural plasticity and operates with a better metabolic efficiency. This allows the brain to learn new information with less effort. It will also improve the brain’s ability to recall information in the future. Regular running also changes the perspective of the brain. Just as frequent exercise teaches the muscles to store more fuel to use, the brain learns to store more glycogen. This also helps to boost a person’s cognitive function. There is also the “runner’s high” to consider when it comes to brain health. 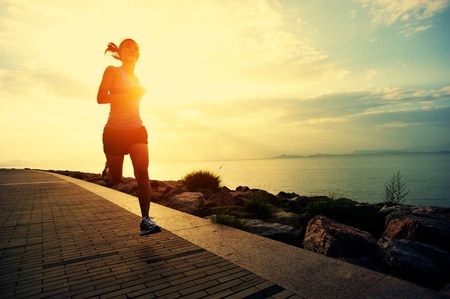 Running is known to release endorphins, which helps to stabilize the mood centers of the brain. When a person runs in quiet spaces, such as an empty park, down a nature trail, or a quiet street, then the effects on the brain are very similar to what happens with regular meditation. In experiments that involve active animals versus sedentary animals, researchers have discovered that new hippocampal neurons appear at up to 3 times more in those who were active. The same results are believed to occur in humans. If you cannot run for physical reasons, then consider taking a walk instead. The benefits of walking on the brain are very similar to running. Have you ever watched Michael Phelps swim? After winning 23 Olympic gold medals, it might be fair to say that he is one of the best athletes that the world has ever seen. Each movement that Phelps makes seems to make him become one with the water in the pool. Now we will likely never be as skilled as Michael Phelps when it comes to swimming. If you are willing to jump into a pool, however, you can experience the same brain benefits that Phelps receives. 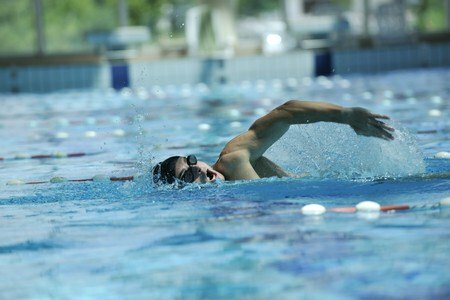 Certain aerobic exercises, such as swimming, directly affect the neurotransmitters in the brain. This causes an influence on the moods that the brain can produce and encourages the production of stress-reducing hormones. The aerobic movements of swimming can also boost the amount of blood that flows to the brain. When the bloodflow is improved, there are marked improvements in focus, clarity, memory, and mood. Just immersing oneself in water up to the level of the heart will improve the amount of blood that flows to the brain. The middle cerebral arteries see up to a 14% improvement rate in circulation, while the posterior cerebral arteries see an increase of 9%. Swimming also promotes the formation of new neurons within the hippocampus. This effect can directly counter the damage the brain receives when it is exposed to high levels of cortisol, the stress hormone. The hippocampus can even grow with continued exercise. Do you remember spending time memorizing your multiplication tables? Or perhaps your family was religious and had you memorizing passages from a holy book? Or did you grow up in a family that was constantly quoting Shakespeare? Memorization is also a mental exercise. It trains the brain to pay attention with a tremendous amount of focus. The process of memorizing something may be out of vogue in many educational systems today, but this is because many people attempt rote memorization instead of having a strategy to remember specific information. Just looking at some text and attempting to remember it will only allow you to retain a partial piece of what you’ve seen. Even if you repeat that information consistently, the data may only log into your short-term memory. To experience the true benefits of memorization, the information being learned must lodge into your long-term memory. Quick: What is the answer to 4x10? The answer to that question is likely found in your long-term memory. That information is there to stay. The act of memorization can train the brain to develop a process that encourages future learning. This can help you develop a specific competence in an area of interest as you keep memorizing new information and skills. In our current Age of Information, the need to memorize a bit of information seems almost pointless. Why remember something when you can search the internet for an answer? We can even ask our smartphones to give us the answer without needing to type-in the search. The act of memorization takes the information being learned and it internalizes it. Your brain is able to understand the information on a deeper level. To properly memorize something so that it can lodge into your long-term memory, there must be some form of organization to the information being learned. If you know what the answer to 4x10 happens to be, there is a good chance that you looked at a multiplication table at some point. That table was a system of organization to help you with the memorization process. Rhyming, singing, visualization strategies, and storytelling are often used for information memorization on a regular basis. Acronyms are another popular way to remember something. Let’s use the four directions as an example here: north, east, south, and west. How can you remember which order they are supposed to be in when you look at a map? By creating an acronym: NESW. Now we must assign specific words that have a personal meaning to you. For this example, let’s say someone has an intolerance for wheat products. Not only is it an acronym, but it also rhymes. That makes it easy to remember, so that means the information can be recalled with greater ease. Memorization can occur at any time. Everyone benefits from its use, even if the process of memorization isn’t perfect. That’s why it is one of the best exercises to use when you want to make your brain more efficient. So study Shakespeare, pick up a holy book, or work on your multiplication tables and you’ll see an improvement in brain efficiency over time. 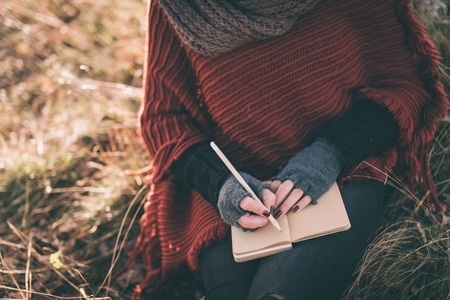 Writing engages the creative centers of the mind if you are jotting down a fictional story. It will also engage your memory if you are writing in a diary or attempting to recount a personal story from your past. Any type of writing will help to benefit the brain, but handwriting is going to be your best option. When you write by hand, you are creating a calm environment for yourself. It forces you to focus on the words that are being created with a writing utensil. Something as simple as writing, “I will be more focused,” like a meditative mantra, can bring a sense of peace to the brain. During this process, you will also be boosting your cognitive skills as the left and right brain coordinate with one another. This is how creativity is inspired, even if you’re just recounting the events of the day. You could type to receive some of these benefits, but the process of writing involves the motor cortex of the brain. This means you get to use more of your brain when handwriting. That’s why it is such a great exercise. Typing also makes use of certain software components that encourage the brain to be less active than if handwriting is being used. Take Microsoft Word as an example. If you spell a word incorrectly, the program can automatically correct it. Word checks your grammar for you. It will automatically highlight words that it can’t correct, but believes are wrong anyway. Handwriting forces you to focus on spelling and grammar. It is slower because you need to plan out all of your thoughts. Try picking up a pen and writing down your thoughts. Even if it is only a couple of sentences, you’re going to be exercising your brain during that time. Reading a book from your favorite author will also help to improve brain functioning on a variety of levels. Not only is it a way to engage the imagination, but reading is also a way to develop empathy for others. When a person reads a novel, they are placed into a position where they are forced to empathize with the characters in the book. It is a way to step outside of yourself. This is why reading also promotes relaxation and learning. This engagement that the brain receives from reading also changes its very structure. Scientists in the US have discovered that people who read on a regular basis to cognitively stimulate themselves have lower levels of beta amyloid protein levels than those who do not engage through reading or other cognitive stimulants. Higher beta amyloid protein levels are believed to be a contributing factor in the development of Alzheimer’s disease. Reading also makes the brain become more resilient to the natural aging process. Compared to people who read regularly, non-readers see mental activity declines 48% faster. All of this happens while reading can reduce stress, improve concentration, and potentially help with depression or sleep problems. So if you’re looking for an easy way to make your brain be more efficient, pick up a book from a favorite author and find a comfortable place to read for a while. If you’re not a big fan of reading a book, having someone read to you can provide the same brain efficiency benefits. 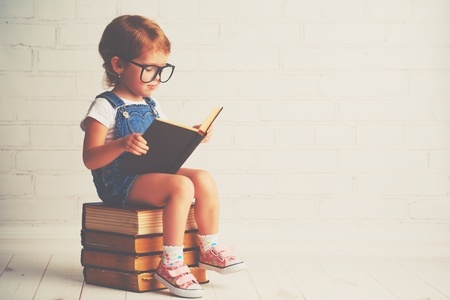 When children listen to their parents reading to them, their brains become more active in the areas that focus on language comprehension and memory. These same brain centers become active when older children and adults are listening to stories. With continued listening exposure to someone reading, the neurons in these brain regions will grow and connect. This is why many researchers encourage reading to children from infancy. So if you’re not a fan of reading, consider downloading an audiobook. It might just help to train your brain to have a good memory in the future. 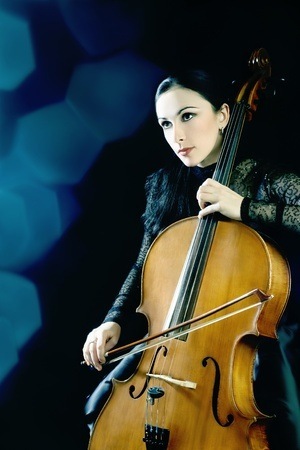 The act of playing an instrument involves multiple components of the brain and your central nervous system. Your brain must control the gross and fine motor movements that are required to produce a correct sound. Then the auditory centers of the brain will process this sound to make sure it is correct. Your brain also receives sensory information from any body part that is in contact with the musical instrument. 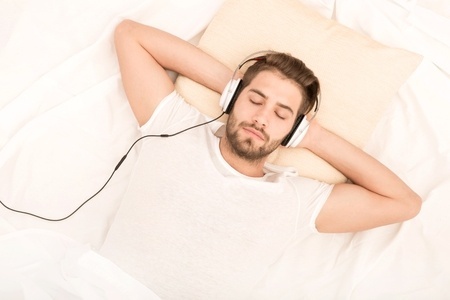 Many musicians will also read sheet music in order to play a piece or engage their memory centers in order to play a melody that they have previously memorized. For children who begin to play an instrument, just 15 months of training can change the very structure of their brain. Each change that is created will improve their auditory or motor skills. Anyone of any age can benefit from the engagement the brain receives through the exercise of learning an instrument. There may even be added benefits for musicians who decide to learn a new instrument after they’ve already mastered their first one. What is unique about this brain exercise is the fact that regularly practicing a musical instrument can increase the amount of myelin that is produced. Myelin is a mixture of proteins and phospholipids that can be found in the white matter of the brain. Myelin sheaths also protect the nerve fibers that are throughout the body. With more myelin, the speed at which a brain impulse is processed can be improved. If you’re not sure about picking up a new instrument because of the costs involved, then consider developing an instrument you already have. Your voice is also a musical instrument. Singing can change the brain just like learning how to play the piano, the violin, or the fiddle. The vibrations of your voice move through you, providing the tactile sensations that you’d receive by holding an instrument. Your brain must also focus on pitch, tone, and volume, among many factors, to create a pleasing sound. The end result? Singing helps to relieve anxiety, lower stress, and elevate endorphin levels as the same structural changes occur that a tangible instrument would provide. Maybe you don’t like to sing. Or maybe singing embarrasses you. There is another instrument you can develop: whistling. Languages that are based on whistling engage a different part of the brain than spoken languages. An example of a whistling language can be heard here. The process of developing whistling is very similar to singing when it comes to music and brain development. In terms of whistling and speech, both hemispheres of the brain are engaged. This encourages a higher level of brain efficiency. Sometimes it can be difficult to focus on one specific brain exercise. This is because there is tremendous amount of information available to us on a daily basis. The average person will consume 34 GB of information every day. That is 5 times more information being evaluated daily compared to what the average person consumed in 1986. In fact, we create as much information in 48 hours as our ancient ancestors produced in their entire lifetime. When constant information engagement has become a habit, it can be difficult to disengage from that process. This is where brainwave entrainment can be useful. Brainwave entrainment is a neural process that allows the brain to synchronize with specific external frequencies that have surrounded it. This can induce a specific brain state through the stimuli that is present. The matching of frequencies creates a consciously altered state. Imagine that you have taken a trip to an empty beach. You hear the repetitive sound of the waves coming ashore. The warm sunshine graces your skin. The brain processes this information and synchronizes itself to the environment. You begin to relax. This doesn’t mean you’ll completely stop worrying about certain thoughts that might come your way. The brain simply becomes more efficient at processing the information that is around because it has shifted the perceived perspective thanks to a change in brainwave frequencies. Certain programs such as Brain Evolution System or Brain Catalyst are able to recreate specific points of focus for the brain so that it can tune itself to the appropriate frequency. If the brain adapts on its own to the frequencies that are being heard through a brainwave entrainment program, how is this an exercise that can make your brain more efficient? It is because of the process of conscious choice. You must make the choice to begin using a product in order to begin building brain efficiency. Just because there isn’t a physical mechanism in play, like running or swimming can engage, doesn’t mean there aren’t structural changings happening. Each choice you make to improve your brain will take you one step closer to the establishment of a new positive habit. We all have a negativity bias of some sort. 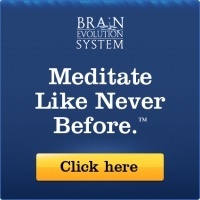 By using a brainwave entrainment program, you can reprogram the brain. That reprogramming effort can improve neuroplasticity, predisposing the brain to affirmative thinking habits. In other words: it’s not just the brainwave entrainment product. It is also the process of engagement that is required to use such a product in the first place. Brain games for brain health help to challenge your memory and force you to pay closer attention to what is happening. Games are also fun to play, which creates a natural attractiveness to this type of exercise. Adults who frequently use brain games are 63% less likely to develop dementia as they age, according to information researched by the University of Michigan. Those who play brain games also see improvements in their auditory information processing speed. Cognitive abilities can improve as well, especially when there is a structured sensory input training. It only takes playing one brain game every day to begin seeing benefits from this exercise. Over the course of several weeks, structural changes begin to occur within the brain. One of the first results that is often experienced when brain games are played is a dramatic improvement in memory. 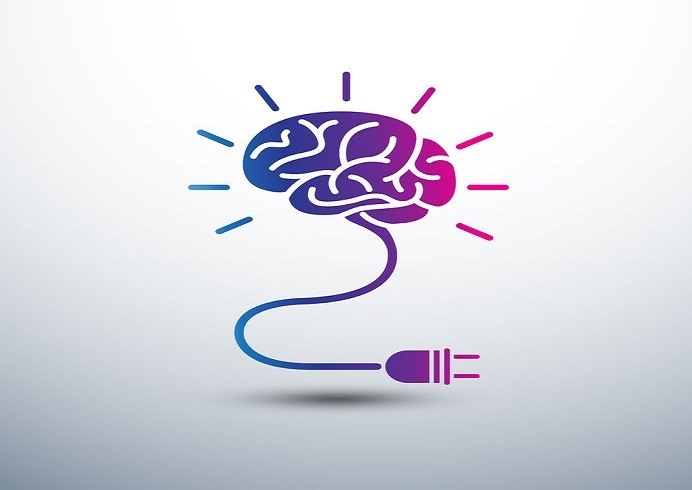 There are several different games that can be played to help boost your personal brain power. Try taking the 7-word challenge to get started. Create a short story that has a natural beginning and conclusion, but only use 7 words to do it. Another game to play can be done throughout the day. Use your non-dominant hand every other day to complete regular tasks, such as brushing your teeth. If you’re right-handed, then use your dominant hand on Monday. Then use your left hand on Tuesday. By going back and forth, you begin to build new brain cell connections. There are numerous brain games that can be played online as well. Lumosity is a popular site. AARP offers brain training resources that can be utilized as well. 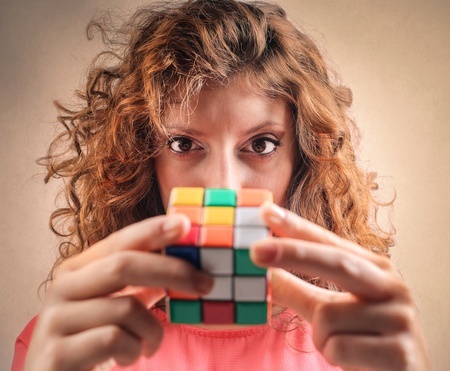 There are different brain exercises that can improve brain efficiency, but there are also other choices and activities that can enhance the results being experienced. One of the best ways to improve brain efficiency is to focus on a brain-healthy diet. There are certain foods that encourage the development of a smarter brain. One of the best superfoods is the blueberry. Blueberries help to protect the brain from oxidative stress. It can also reduce the effects of age-related conditions, such as dementia. A diet that is rich in blueberries also promotes an improved learning capacity. Wild salmon is another superfood worth considering because of its high levels of Omega-3 acids. Omega-3 is an essential fatty acid that promotes improved brain function. Sardines and herring are other seafood options to consider. Up to three 4-ounce servings per week are recommended. Certain nuts and seeds provide Vitamin E, which works to prevent cognitive declines as the brain ages. 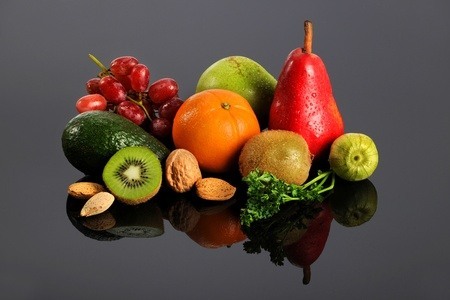 Hazelnuts, almonds, cashews, sunflower seeds, and filberts are highly recommended. Just 1 ounce of nuts and seeds per day can help the brain. Avocados are another superfood, though it is high in calories. Half an avocado is enough to promote a healthier blood flow and lower blood pressure levels. The brain is not going to stay healthy on its own. It needs the support of a conscious choice to help it be as efficient as possible. Working out your brain can help to create the results you want to see. The benefits of exercising your brain include memory improvement, greater focus, and enhanced resiliency against the natural aging process. Many of the brain exercises that provide efficiency benefits are free and can be implemented on your own time. You will begin to see real benefits from whatever exercises you have chosen in 8 weeks or less. What exercises do you use that help to keep your brain healthy? Wow. I have not been exposed to all the ways that we can develop the brain memory and development. Particularly was impressed with the running which the only aspect I looked at was the physical part. What a wonderful way to develop the brain some of which I had experienced but never looked at it that way. Writing is something I do and will work on that development thanks to your article. Your first sentence rings true, the amount of times I’ve gone into a room and got slightly distracted and forgotten why I am there! I occasionally meditate and run regularly, so I found the section on running fascinating – I went out for a long run and felt so much better when I got in. We create as much information in 48 hours as our ancient ancestors produced in an entire lifetime – wow!